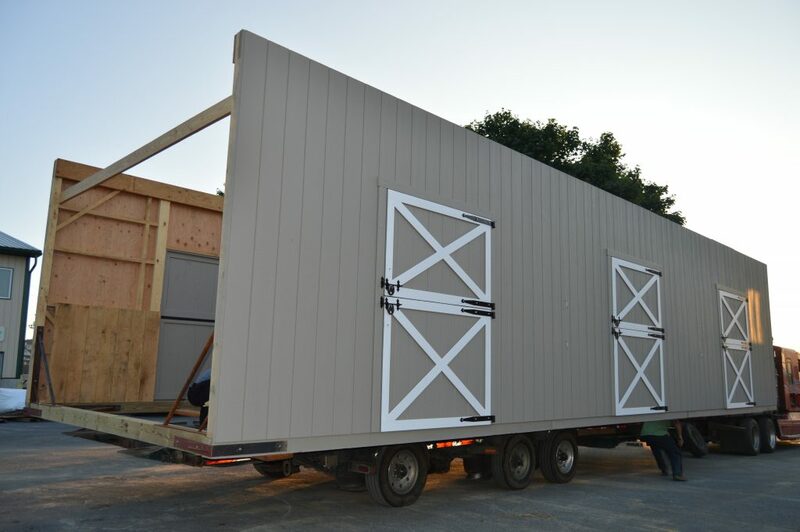 This is a 15’x81′ shed row barn with 10′ lean-to with10′-5″ high walls. 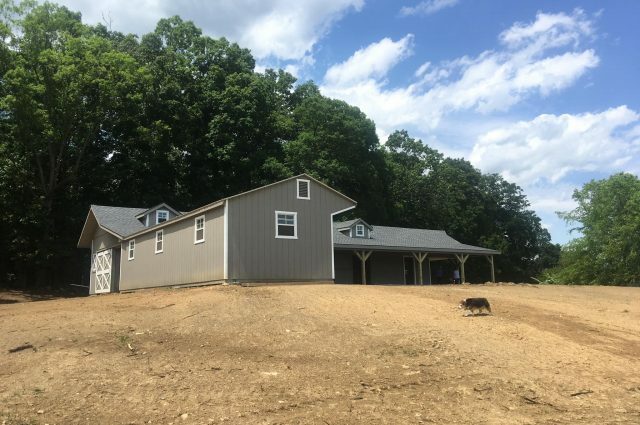 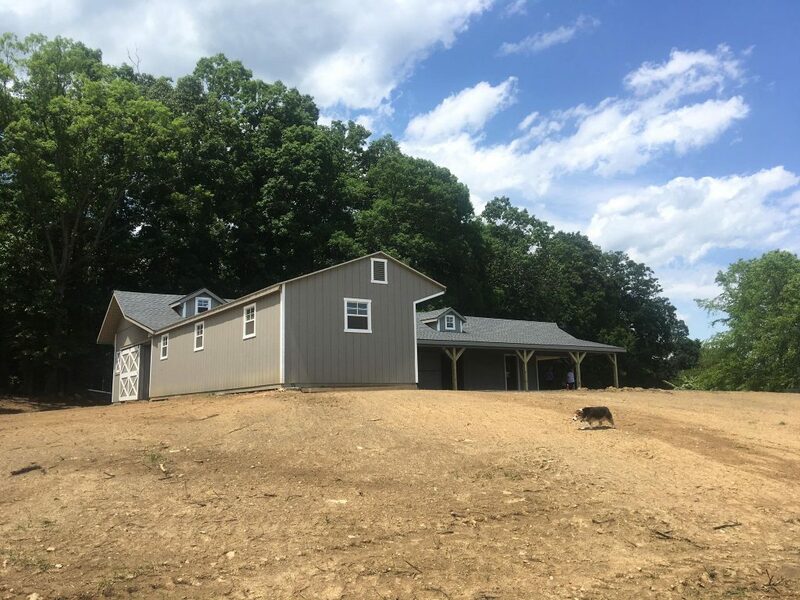 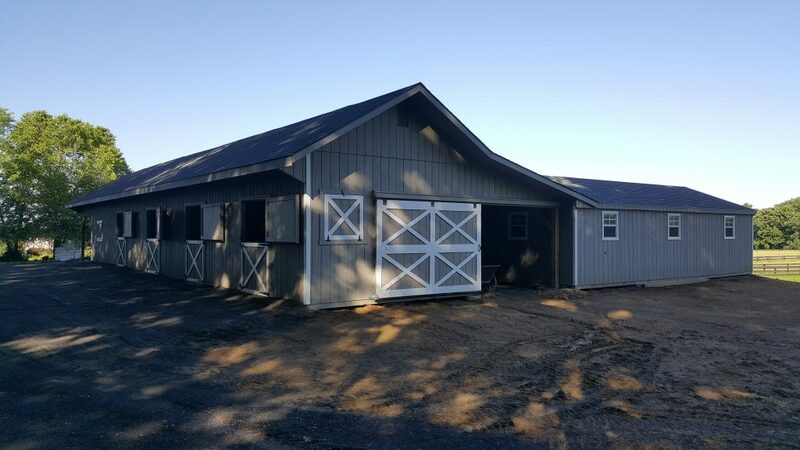 This Purcellville, VA shed row barn was built with duratemp t-111 siding painted with clay paint by Haley Paint Company. 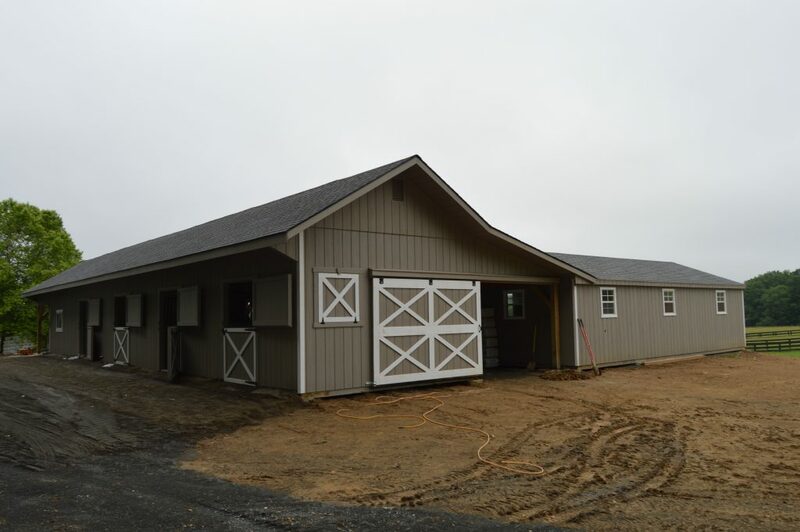 The corner trim, window trim and door crossbucks and trim are painted white. 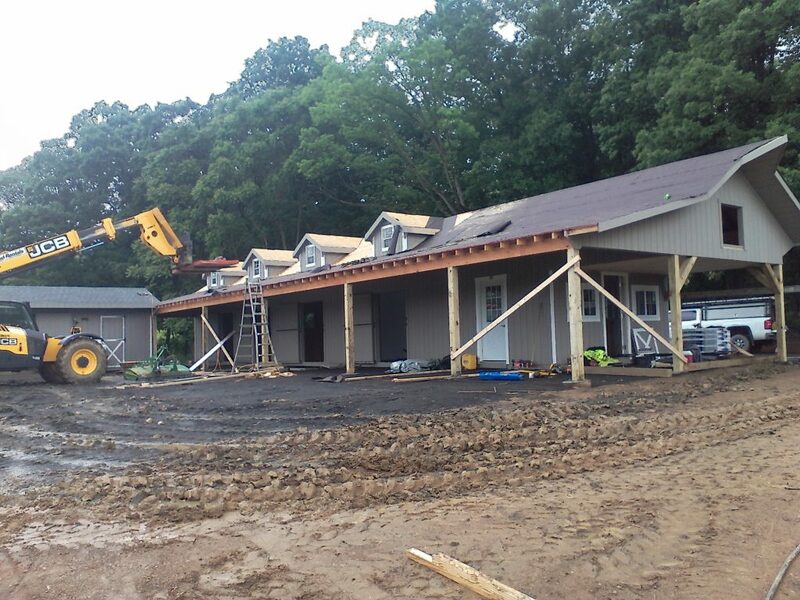 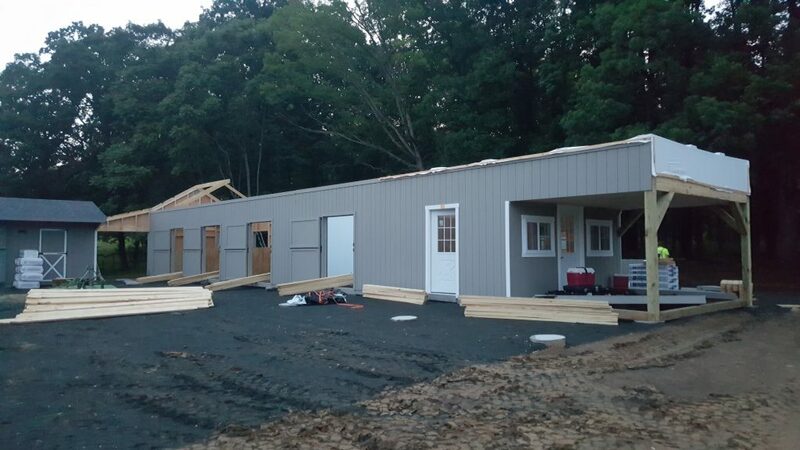 It has 7 pitch rafters and architectural shingle roof with GAF Timberline HD (color Pewter Gray) shingles. 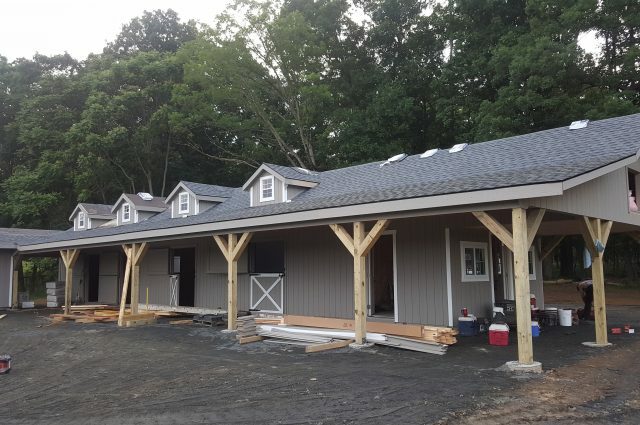 The windows are vinyl Andersen Silverline windows by Bird-In-Hand Windows. 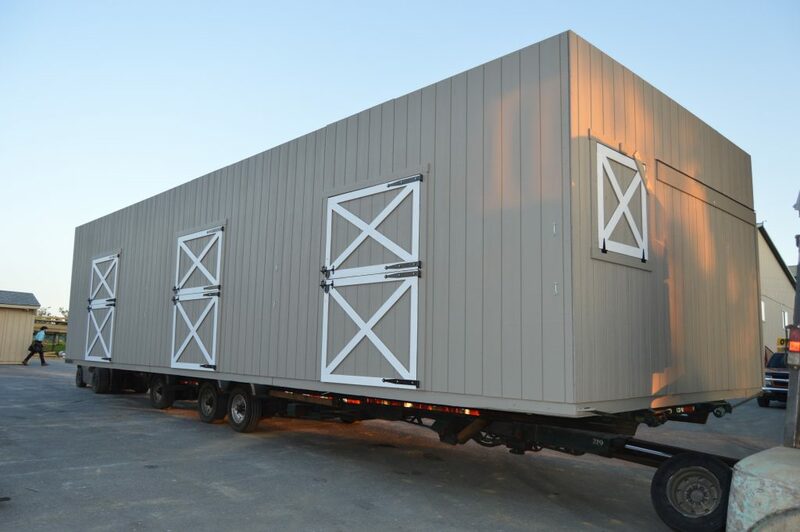 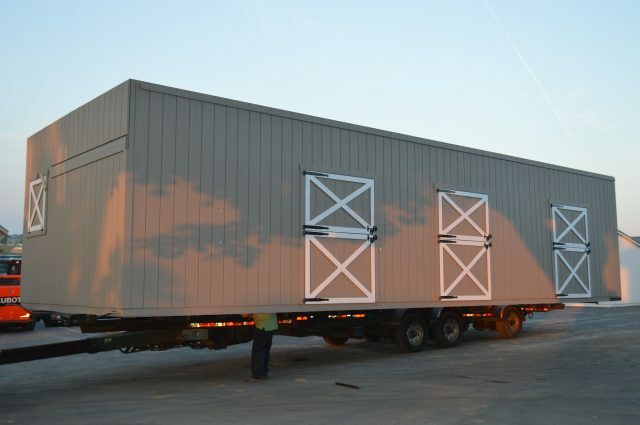 The 10’x7′ roll door and 5’x7′ Dutch doors are built by J&N Structures. 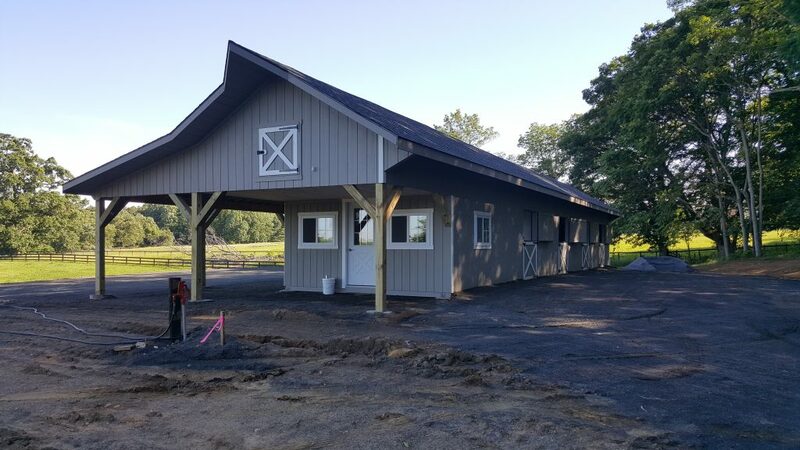 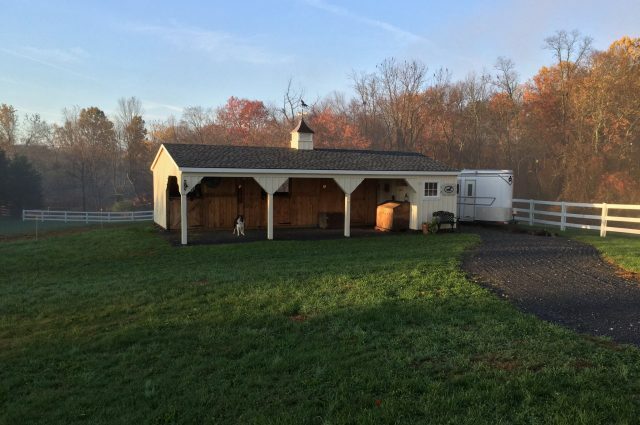 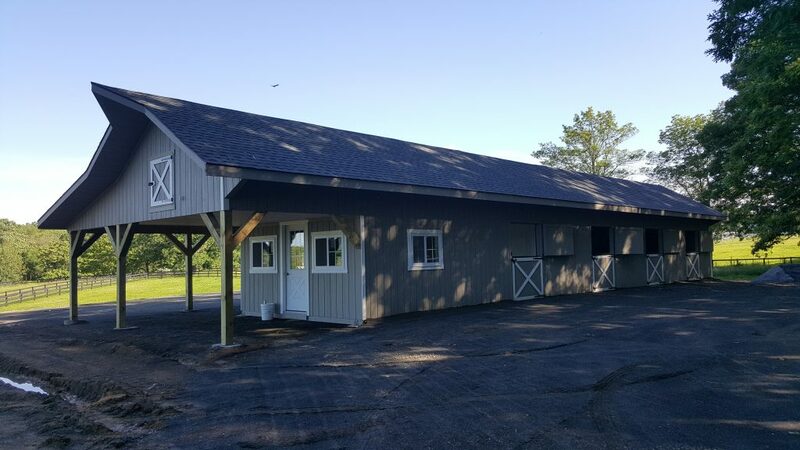 This shed row barn with 10′ lean-to has (2) 15’x15′ stalls, a 15’x13′ stall, a 15’x15′ wash stall and a 15’x13′ tack room. 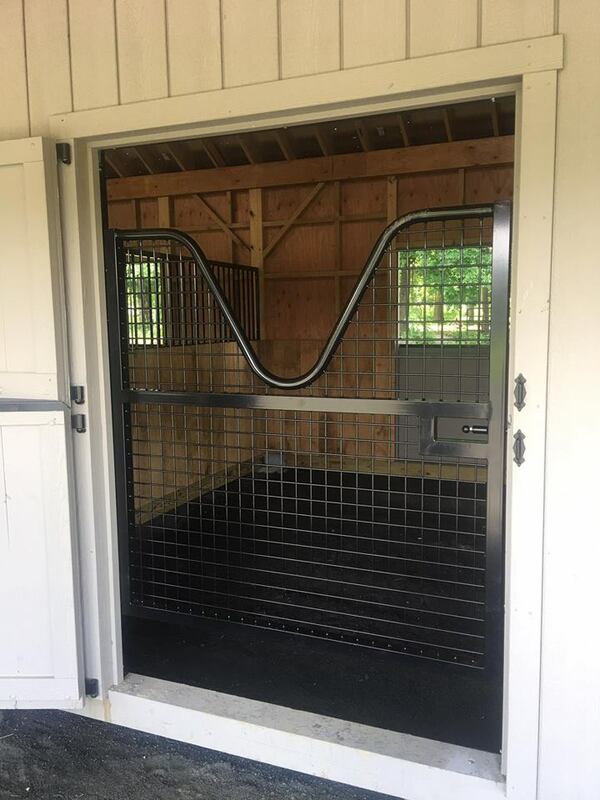 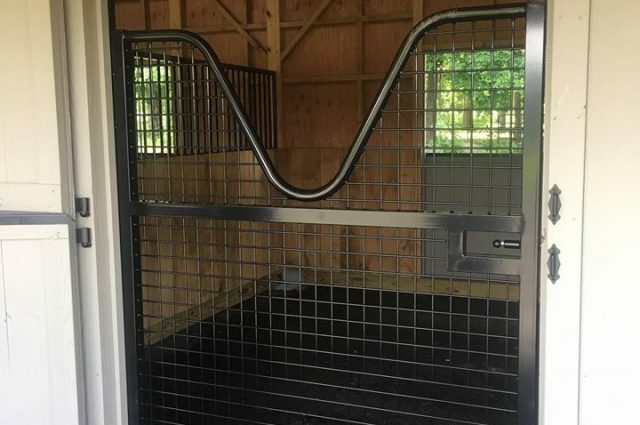 The stalls have kick board and (2) Dutch doors with the stall on the end also having a drop vent. 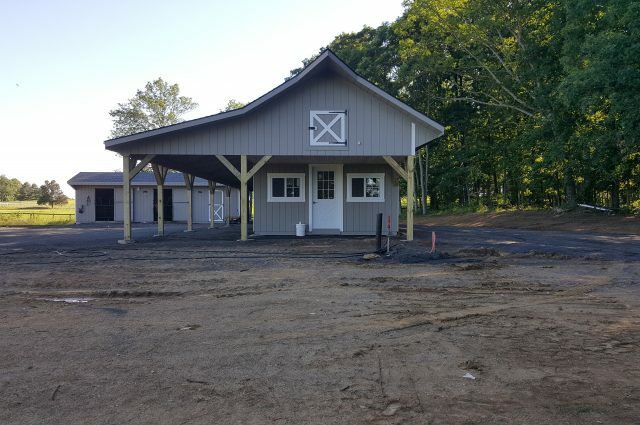 The wash stall has white washboard on the walls and (2) Dutch doors. 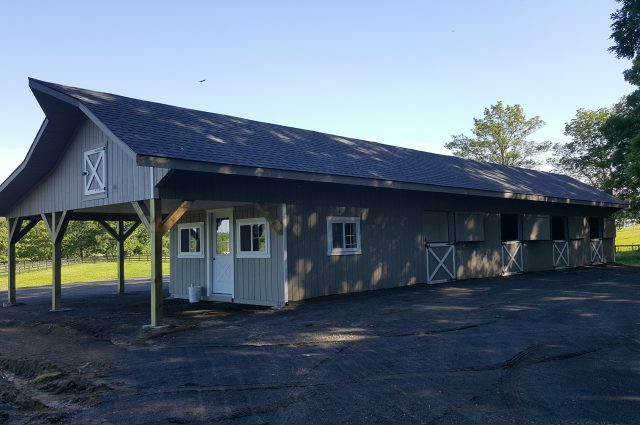 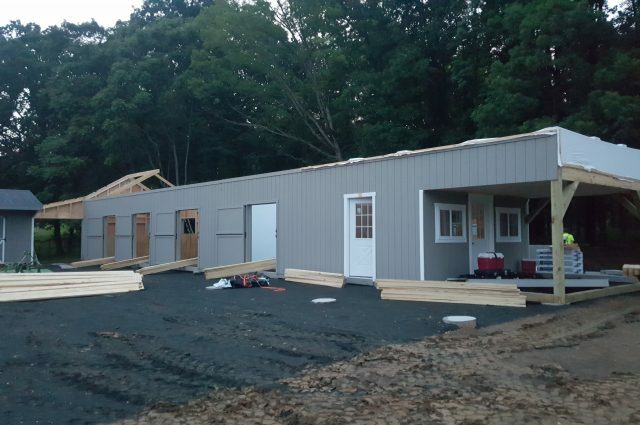 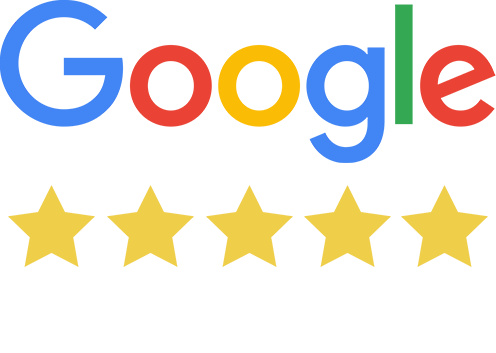 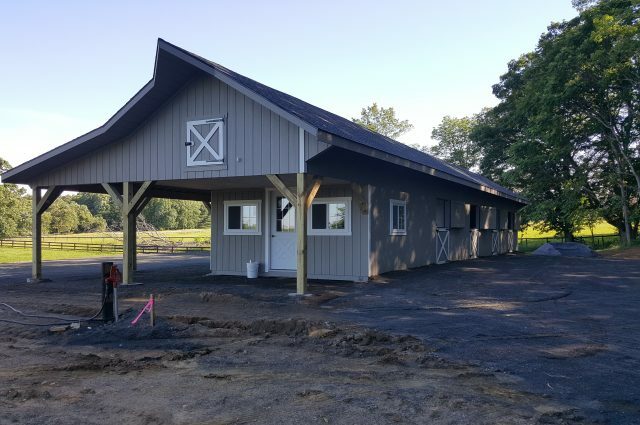 The tack room has prefinished tongue and groove pine flooring and (3) windows and (2) insulated service doors with windows. 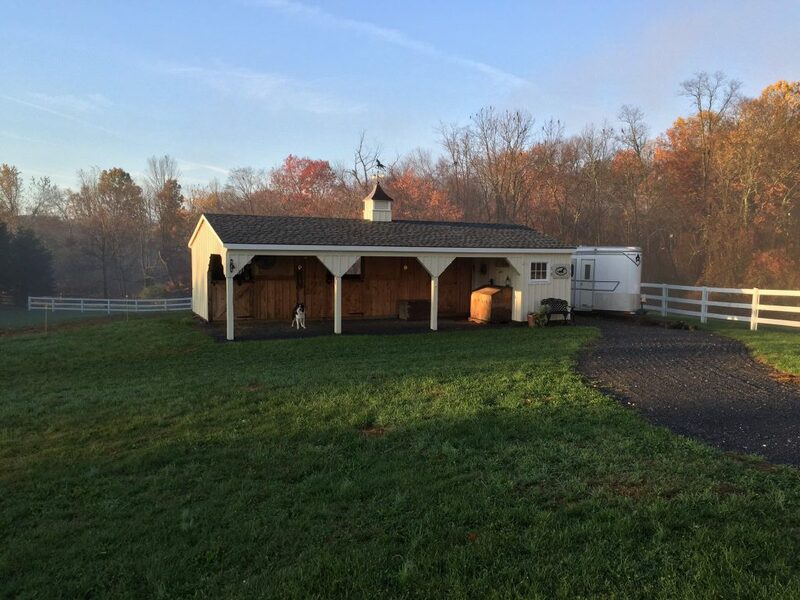 Out the side of the tack room is a 10′ lean-to with loft above the lean-to. 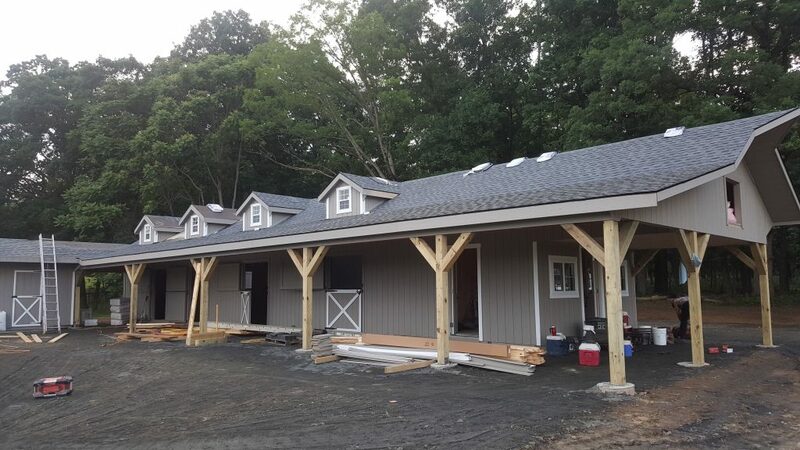 The tack room and loft are insulated and lined with pine edge and center beaded boards. 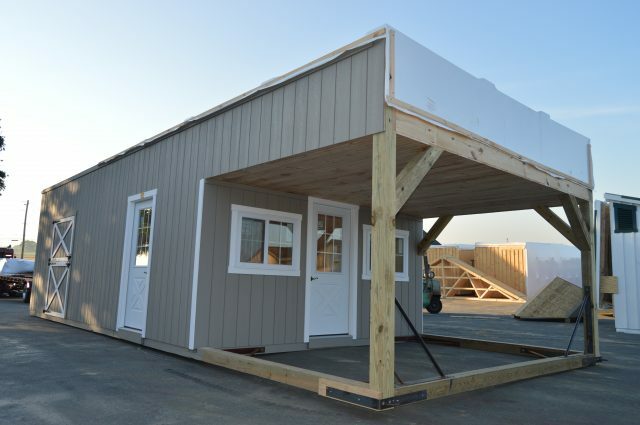 The loft is accessed via a ladder and has a small loft door. 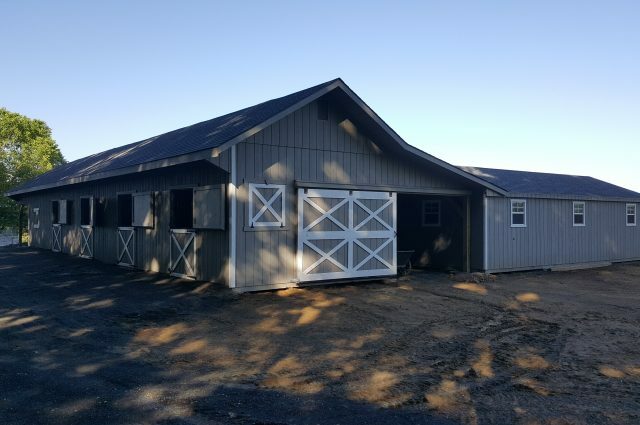 This barn was joined with an existing barn to form an L-shaped barn. 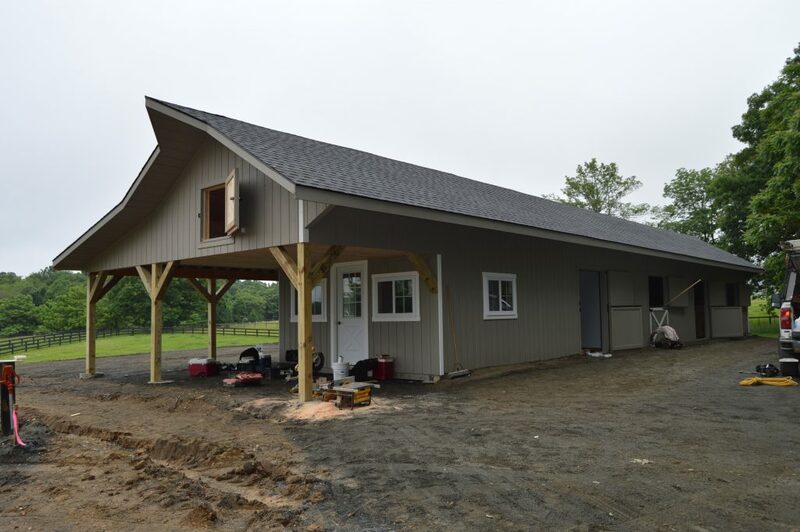 A small breezeway connects the new barn’s lean-to to the existing barn. A roll door closes off that end of the lean-to. 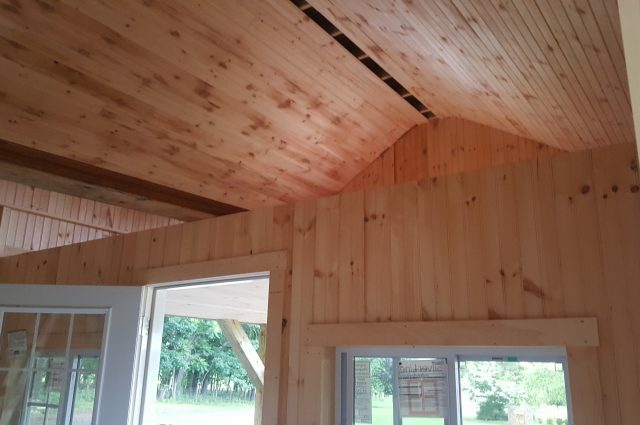 Also, on this end is a gable vent. 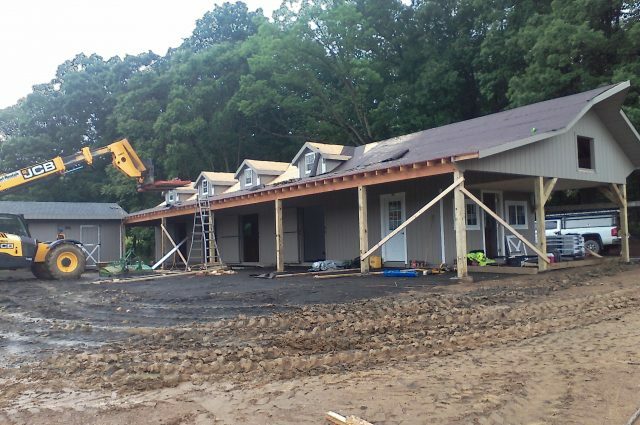 Up on the roof are (4) 5′ wide dormers with windows. On the sides and rear, the roof extends 24″ and has an extended pointed peak on one end. 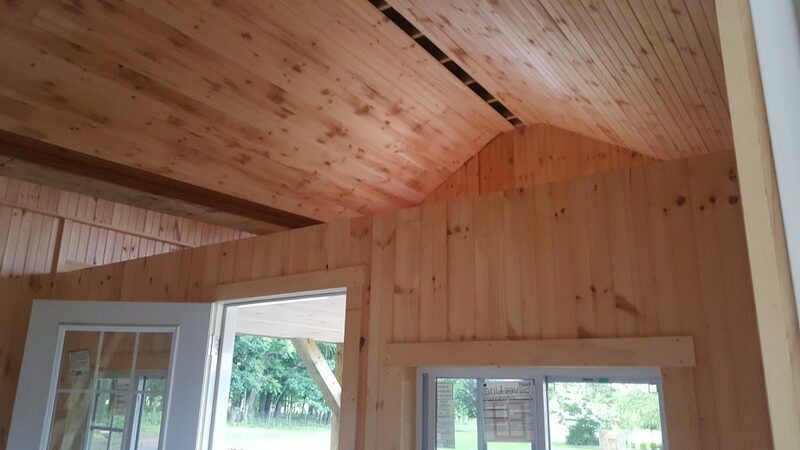 The lean-to has exposed braces for a timber-frame look.